One is planning to finish the verse and is just making a momentary stop [without talking in-between]. One is unable to read the entire verse at one time, such as if one is teaching a child and he cannot learn the entire verse at once. Some Poskim rule one may stop by an Asnachta or Zakeif Katan. Other Poskim, however, rule one may not stop by an Asnachta or Zakeif Katan. One is intending to read the verse as a prayer and supplication. One is not intending to read the verse but is simply borrowing its words for one’s sentence. The verse itself was said by two people. The verse was originally said a little bit at a time. One is reading less than three words in the verse. The verse is being said together with the congregation. The remaining part of the verse contains a negative matter which one does not want to mention. It is forbidden for one who is reading a verse to stop in middle of the verse unless one of the above mentioned exceptions apply. Does the above prohibition apply to verses in Nevi’im and Kesuvim? This applies for both Torah and Nevi’im. However, some Poskim rule that possibly one may stop in middle of a verse in Kesuvim. Others, however, are stringent even by Kesuvim. Is it permitted to begin reading a Pasuk from the middle of the Pasuk? 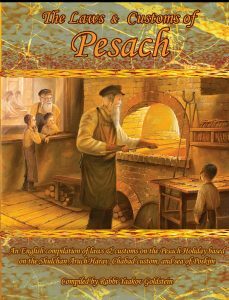 Some Poskim rule it is forbidden to begin a verse in an area that Moshe did not begin. Others, however, seem to learn that it is only forbidden to end in middle of a verse and not to begin in middle of a verse. May one read more than one verse together? Seemingly, there is no obligation to stop in between verses, and the prohibition is only against stopping in the middle of a verse. May one stop in middle of a Parsha? 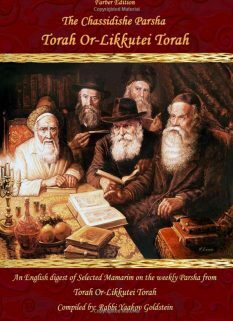 The Talmud and Zohar state that it is forbidden to stop in any Parsha that Moshe did not stop. Simply, this seems to mean that one who reads from the Torah [or Nevi’im and Kesuvim] may only stop at the end of a Pesucha and Setuma. However, some Poskim interpret this to refer not to the Parshiyos of Pesuchos and Setumos but to the weekly Parsha. Meaning, that a congregation who reads the Torah may not stop in middle of the weekly Parsha, and must continue reading until the end of the Parsha. Furthermore, even an individual who is reading the Torah to himself may not stop in middle of the Parsha, unless he plans to finish it later on the next day, or that week. 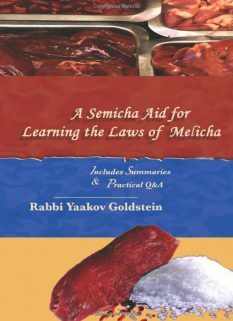 Practically, both approaches face certain difficulties, as well as that it is evident from other Talmudic statements that the prohibition is limited to stopping in middle of a verse and not in middle of a Parsha. Thus, one must conclude that there is no prohibition for an individual to stop in middle of a Parsha, and seemingly the above Talmudic and Zoharic statements refer to an established congregational reading. Practically, the custom is to allow individuals to stop in middle of a Parsha, whether it be the weekly Parsah, or Pesucha and Setuma, as is evident from the split of the Aliyos, the Torah reading of the Holidays and Monday’s and Thursday, as well as the study of Chitas, Chok Leyisrael, and Shnayim Mikra. Some Poskim rule one should not begin Kiddush from Al Kein Beirach. Other Poskim, however, defend the custom of doing so. The novelty: Seemingly, this statement is coming to exclude a mere break in middle of the verse, if one intends to immediately continue. [See Sukkah 39a “Asukei Milsa Les Lan Ba” and Rashi ibid “Since he plans to finish we don’t care”] Thus, from the letter of the law, there is no prohibition to read the Aseres Hadibros in a way that one stops at the end of each command [i.e. Lo Sirtzach-stop-Lo Sinaf etc] even though it is all one verse, as one plans to immediately continue to finish the verse. [See Admur ibid] However, Tzaruch Iyun from Tosafus Sukkah 38b “Vehu Omer Ela” in explanation of why we say Ana Hashem Hoshia Na by Halel, and stop and then say Ana Hashem Hatzlicha Nah, and he does not answer like Admur that we do so because it is not a complete stop. Contradiction: Vetzaruch Iyun Gadol from Admur 32:47, M”A 32:45 and Kiddushin 30a who write that we are not expert anymore in the areas that Moshe received from Sinai to end the verses and thus one is not to make spaces in Stam between the Pesukim. Accordingly, we don’t know at all where the end of the verses are, and why then must we stop in the areas that we today consider the end of the verse. See M”A 282:1 and Machatzis Hashekel there who explains that due to this one should not stop even at the end of a Pasuk, but only at the end of a Parsha! Perhaps, however, one can answer that while not all of our end of Pesukim are accurate, most are. Vetzaruch Iyun! 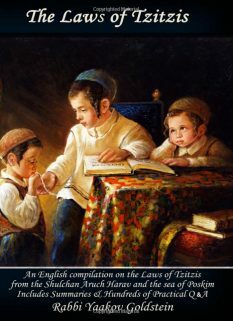 Admur ibid; Evident from Taanis and Megilah ibid regarding teaching children that it was only allowed due to an impossibility to teach them whole verses. See Tosafus Sukkah 38b regarding Ana Hashem Hoshia Na by Halel that even though the next statement is said right away, it is considered a stop, hence implying that one must right away finish the verse. See however M”A 282:1 who rules regarding stopping in middle of a Parsha that so long as one plans to finish reading it the next day it is valid. Vetzaruch Iyun! See Machatzis Hashekel 282:1 who says to read the entire Parsha straight without stop. So is clearly evident from Brachos ibid who is discussing the reading of Shema; So is also evident from M”A ibid who explains the reason why each Olah may read only a small section of the Parsha is because they are all considered as one. See also Machatzis Hashekel ibid that since today we are not expert anymore in the areas of the verses, one must therefore stop at the end of the Parshiyos, as only there do we know for certain that a verse has ended. However, Aruch Hashulchan 282:3 explains unlike the M”A ibid and says that the prohibition is only against the set congregational reading, and only by the Shacharis reading, and never applies to a random individual reading, or a reading by the other days of the week. 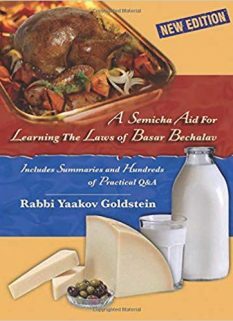 Thus, he explains the Gemara in Brachos ibid to mean that they could not establish a set individual reading of Parshas Balaam as part of Shema, as this would cause that a set reading is being stopped in middle of a Parsha. 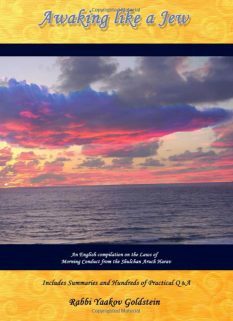 M”A ibid concludes that one must say that if one plans to finish reading the Parsha later on the next day then it is permitted, as seen from the fact that in the Mikdash they would divide the Parsha of Haazinu between the days of the week. [See however, Aruch Hashulchan 282:3 who explains Haazinu was said as a song and not as a Torah reading] See also Levushei Serud ibid who adds that if one intends to finish it on Shabbos, it is also valid. See Aruch Hashulchan 282:3 whose approach solves all the contradictions, as he interprets the Zoharic statement to refer only to a congregational reading of Shabbos, and interprets the Talmudic statement in Brachos to refer to a set established reading, however, the random reading of an individual does not carry any of these limitations, and he may stop anywhere he desires so long as it is in the end of a verse.